Grease always finds ways to stick to the most difficult surfaces. If you have walls painted with washable dye, you know very well what we are talking about, especially if we talk about kitchen. How much grease jump on the ceiling and on the walls near the stove? See how to get rid of these nasty stains from your walls. 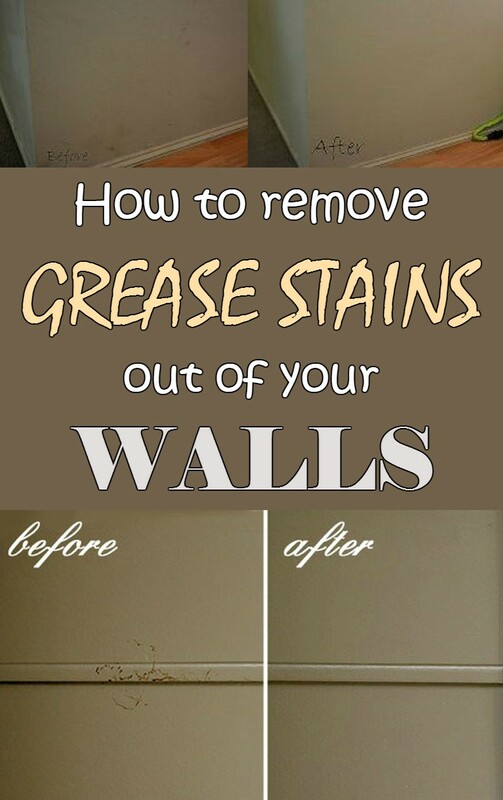 If you have any old grease stains on walls, white vinegar is your best friend. Although it’s called washable paint, this paint doesn’t allow washing with very aggressive detergents because you risk ruin its color intensity. Prepare a mixture of 50% white vinegar and 50% warm water and carefully rub the stain, then immediately dab it with a dry cloth. If you leave the paint to dry, you risk unsightly stains. If grease spots are not very old, a paste of baking soda and water will do wonders. Apply the paste in thick drops over the spilled oil and leave it to dry. Easy clean the baking soda crust and the grease will be removed. If you have walls papered with washable wallpaper in the kitchen, you can apply a paste of cornstarch and water. Leave the starch paste to dry and grease will be easily peeled off the washable wallpaper.